Usually when one thinks of “afternoon tea” it tends to connotes the frilly, English-Victorian style tea room and have the full blown three-tiered stand complete with pots of tea. 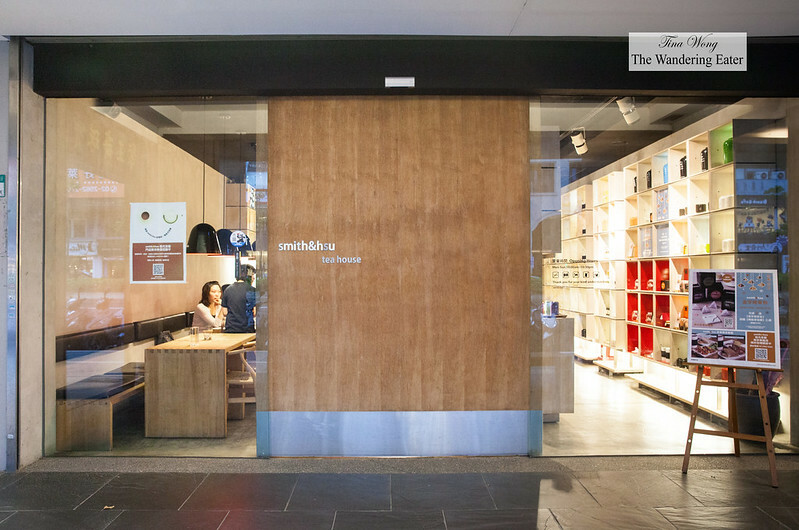 While, Smith&Hsu does offer the tiers of food and pots of tea, this Taiwanese tea brand certainly does not have the atmosphere of the former at their dining room on the second floor. 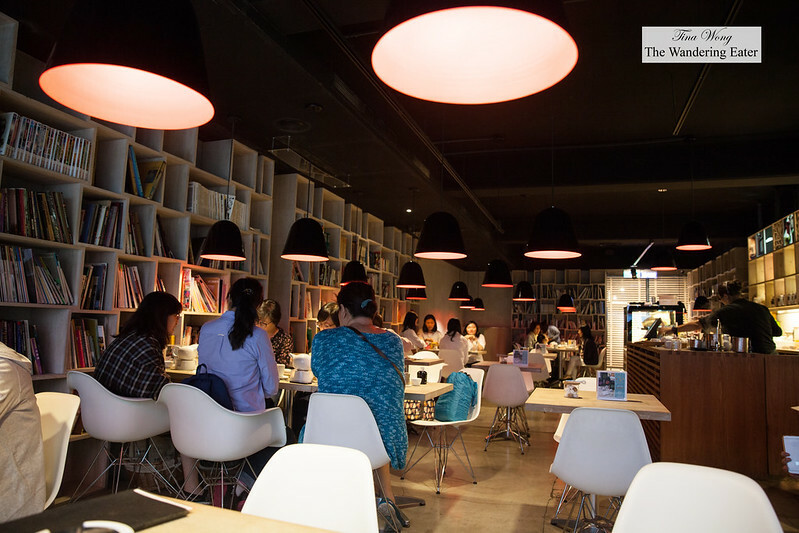 It’s a relaxed vibe of an unpretentious, contemporary library with low hanging lights. On the ground floor of their shop, it’s a beautifully minimalist tea boutique to display and shop their teas and tea accessories. 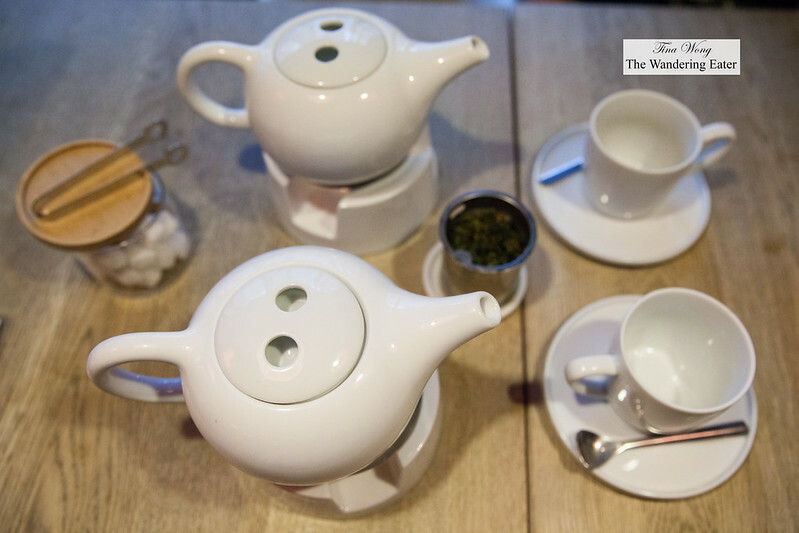 Smith&Hsu offers a wide selection of Chinese and Western style teas, but is locally favored especially for their sandwiches and signature scones. 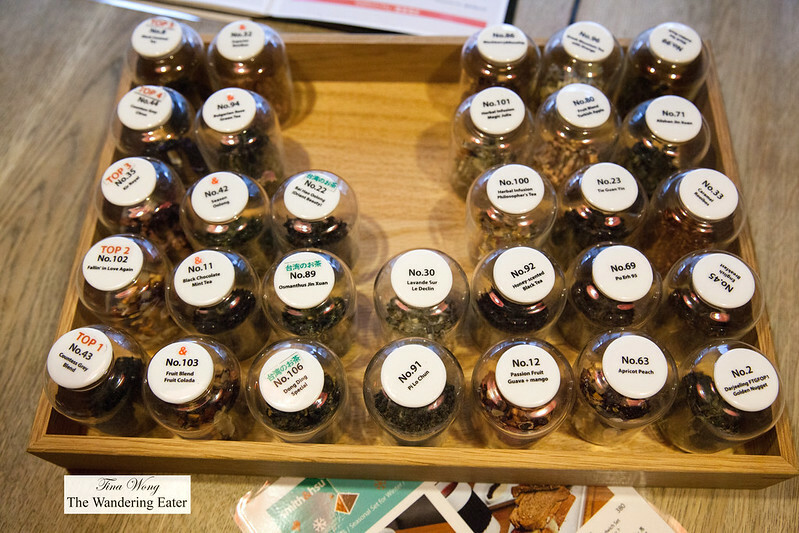 A plethora of teas were presented for sampling its aromas and choosing our pots of tea. We opted for the No. 106 Dong Ding Special oolong tea since Taiwan is famous for this tea unique to its country and No. 102 Fallin’ In Love Again fruit tea blend since our waitress suggested their best seller. If you never had a good Dong Ding oolong tea, it’s a beautiful tea that has a tender yet strong flowery aroma. In addition, it gives a very mellow and thick taste with a sweet aftertaste without any tannins. The No. 102 is indeed a sweet, fruity tea composed of apple, pear, papaya, pineapple, mango, rose hip, lemongrass, peach, and cornflower blossoms that doesn’t require any additional sweetener. 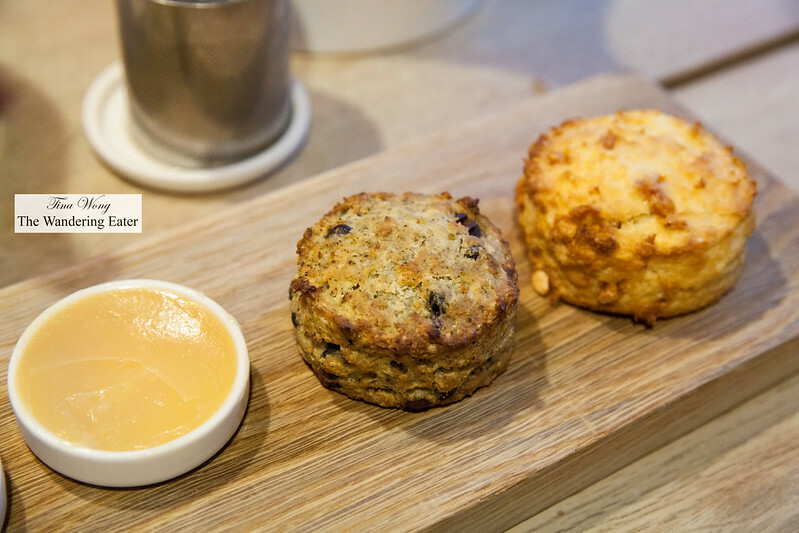 Their current line of scones were delicious. They were all buttery, tender and flaky like a biscuit but slightly sweeter. 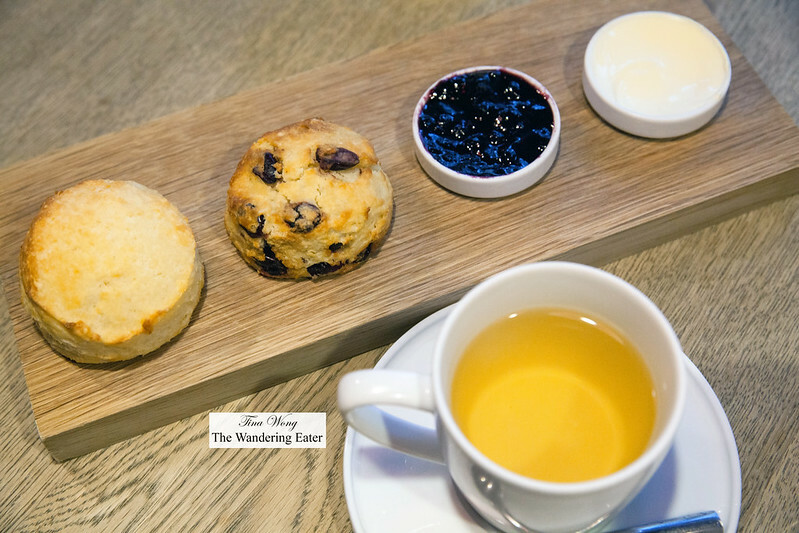 The most unique scone was the oolong and black bean scone that mixes the creamy, sweet flavors of the chunky sweet bean paste and gentle flavors of the tea. Others were familiar like the plain, cranberry, and milk chocolate but still very enjoyable. 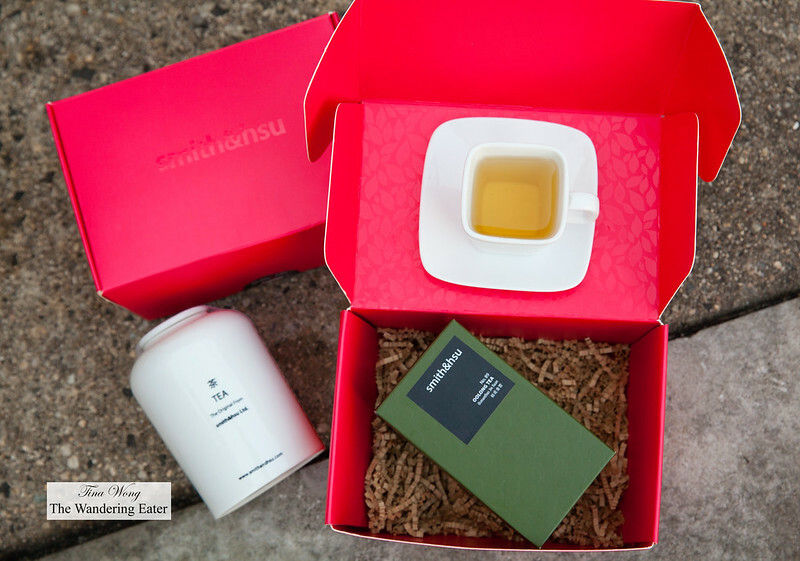 If you do love tea and want to experience it at home, you should definitely consider buying their gift set of their premium loose leaf tea (we have the osthamus oolong tea) and their lightweight ceramic tea storage jar.